I love primary sources. Not only can you learn interesting information—that may include actual, accurate, facts (with allowances for misspellings and such)—but primary sources often convey a flavor or sense of the moment and suggest additional lines of inquiry. With that in mind, let’s take a closer look at Jonathan M. Clark’s 1833 U. S. Army enlistment paper as featured in our earlier post “Jonathan Joins the Army” and see what we can infer from the information there. First of all, how do we know this Utica, New York, enlistment belongs to “our” Jonathan M. Clark? 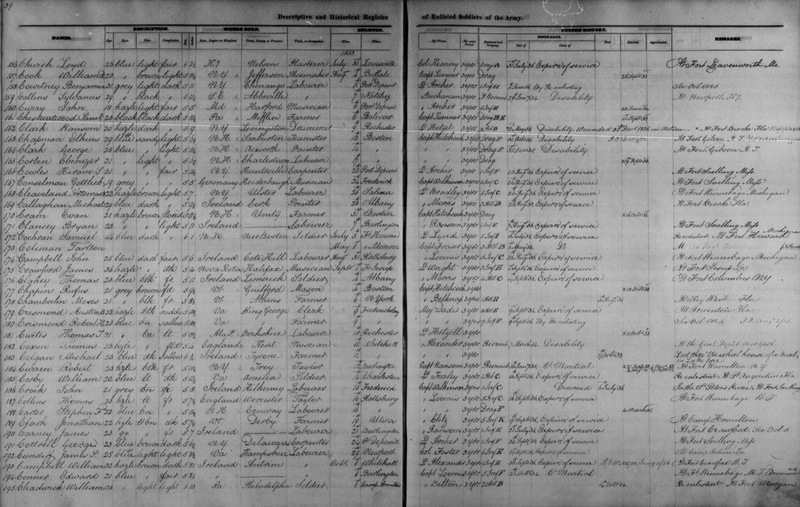 Census and other records show that there are plenty of Clarks from New England, born about the same time as our JMC, some of whom served in the army, and some of whom came to the Michigan/Wisconsin Territory in the early 1830s. My research shows there may even have been a second, unrelated, “Jonathan M. Clark” in the Territory at about the same time. So how do we connect our JMC with this 1833 army recruit?